There are many expressions in the English language that refer to one certain fruit. Everything is peaches and cream. You’re a real peach. That would be peachy keen. She’s sweet as a peach. All of these various accolades honor the humble peach, which is really a nutritional powerhouse that can help us in a number of ways. So, on National Eat a Peach Day, let’s learn a little bit about peaches and take a look at the various benefits they can provide. Native to China, peaches are still commonly grown there, as well as in other areas of south Asia, parts of Europe, and the United States. They have a fuzzy skin and generally range in hue from a golden yellow to a reddish shade. And they can offer advantages to your body, inside and out. The antioxidants in peaches are also beneficial because they promote better cardiovascular health. Peaches also contain iron, which improves the production of the red blood cells that transport oxygen from the lungs to the rest of the body. The beta carotene and phenolic acids found in peaches can help control cholesterol—another factor in the development of heart disease—by reducing the oxidation of the LDL, or “bad,” cholesterol. Then there is eye health to consider. Peaches are rich in not only beta-carotene, but also vitamins A and C. These nutrients increase blood flow and offer a measure of protection from such common eye disorders as cataracts and macular degeneration. Peaches also contain high levels of zeaxanthin, a carotenoid that protects both the retina and lens of the eye from damage caused by the rays of the sun. Your skin is yet another beneficiary of peach consumption. The vitamin A in the fruit ensures that skin can maintain a good moisture level, which can refine the skin’s texture. And the vitamin C peaches contain helps ward off damage from the destructive free radicals to which we are constantly exposed. Peaches are a rich source of potassium, which contributes to regulating blood pressure, decreasing the risk of developing kidney stones, and strengthening the bones to prevent osteoporosis. Other minerals found in peaches, including magnesium, phosphorus, zinc, copper, manganese, and calcium, are all essential to keep various parts of the body from the muscles to the bones and from the immune system to the nervous system functioning well. A large peach will provide you with three grams of fiber. You probably know that fiber is important for maintaining optimal digestion and preventing constipation. But it also helps to keep cholesterol in check, therefore promoting a healthy cardiovascular system. And an added benefit is that fiber fills you up, so after eating a peach you should feel satisfied and be less likely to seek out more food. Plus, peaches are a sweet treat and naturally low in calories. A large peach only offers approximately 60 calories. They give you a sweet, flavorful option for a snack or dessert that won’t lead to weight gain. In fact, if you can substitute a peach for cookies, ice cream, or other processed junk foods high in fat and calories, you will cut your daily caloric total and achieve some weight loss over time. And what could be easier, especially when they’re in season? Wash a peach and eat it with breakfast, bring one along to work, or leave a bowl of peaches on your counter to enjoy any time throughout the day. 1. Noratto, Guiliana; et al. "Polyphenolics from peach (Prunus persica var. 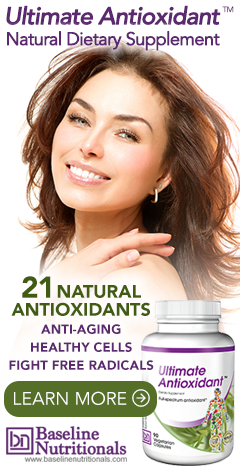 Rich Lady) inhibit tumor growth and metastasis of MDA-MB-435 breast cancer cells in vivo." Journal of Nutritional Biochemistry. 18 March 2014. Accessed 1 August 2016. http://www.jnutbio.com/action/showMultipleAbstracts. 2. Nairi Maserejian, Nancy; et al. "Prospective Study of Fruits and Vegetables and Risk of Oral Premalignant Lesions in Men." American Journal of Epidemiology. 17 July 2006. Accessed 1 August 2016. http://aje.oxfordjournals.org/content/164/6/556.full?cited-by=yes&legid=amjepid;164/6/556.